After a little head scratching we realized that the progeny bear many similarities to a Gardenia scabrella which is growing in the garden on the other side of the house. Our G.scabrella, which produces only male flowers, was purchased from a nursery, its area of natural distribution is further north on Cape York Peninsula. It is a hardy shrub with large, white flowers completely lacking in scent. The photo below is of a young flower which has not fully opened. We rarely see our G. scabrella without flowers so cross pollination is not hard to envisage. The leaves of the new hybrid shrubs are very similar to the leaves of G. scabrella, the shrubs have a similar sturdy growth habit and while the flowers look like G.scabrella they have a perfume similar to, but slightly less intense than the female parent G. actinocarpa. So, in a serendipitous moment we have accidentally brought two plants close enough to cross-pollinate and succeeded in growing a hardy shrub which produces large, beautifully scented flowers for much of the year. 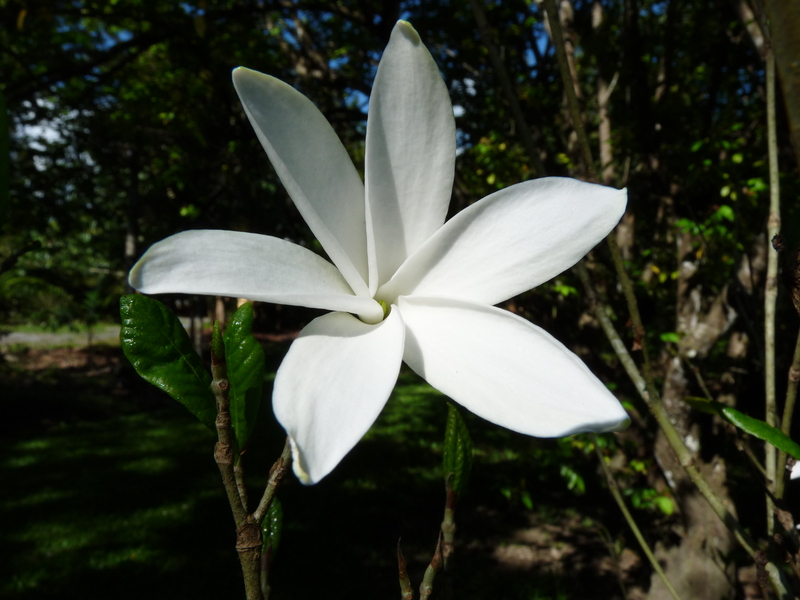 This entry was posted in Daintree Plants and tagged Gardenia actinocarpa, Hybrid Gardenia. Bookmark the permalink. Sounds great, but a query on flower size. 90 cm? whoops – thanks for pointing that out Denis, I’ll correct it now! It is interesting to note that these two related species can undergo cross pollination to produce viable seeds. In the late 90’s I did some studies on the endemic Gardenia actinocarpa and confirmed that the species is cryptically dioecious and is vulnerable in terms of extinction probability. How common this hybridization phenomenon is in the wild would be interesting to note and investigate, even with other co-occurring con specifics like Gardenia ovularis. The botanic garden in Cairns also needs to take note of your observation. Thanks for your comments Zegler. The Cape York species Gardenia scabrella is geograhpically remote from Gardenia actinocarpa and therefor it would be unlikely for these two species to hybridize naturally. However your comment about Gardenia ovularis is very relevant. 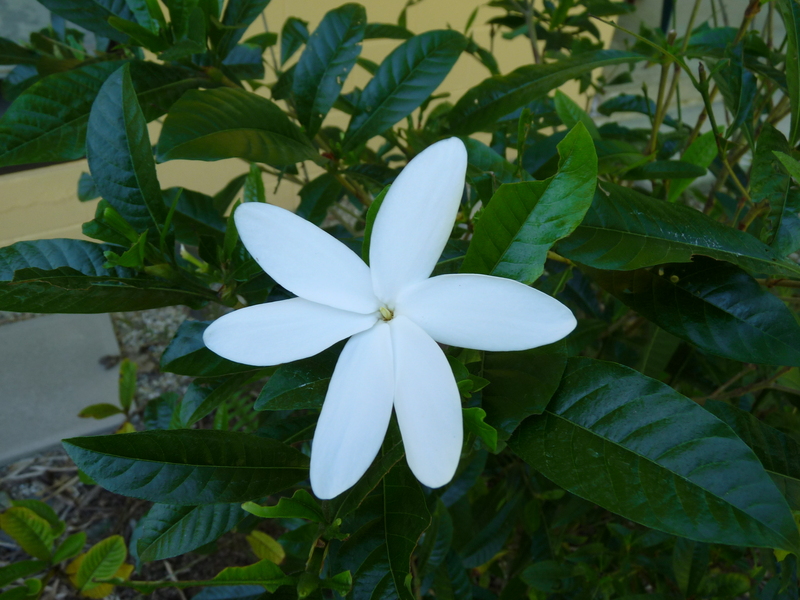 What would also be interesting is the reverse Hybrid of a male Gardenia actinocarpa and female G. scabrella.